← Retired Chamilia Beads are 50% off! Not a Loyalty Card member? You can sign up today for free! It is available in-stores or online here. 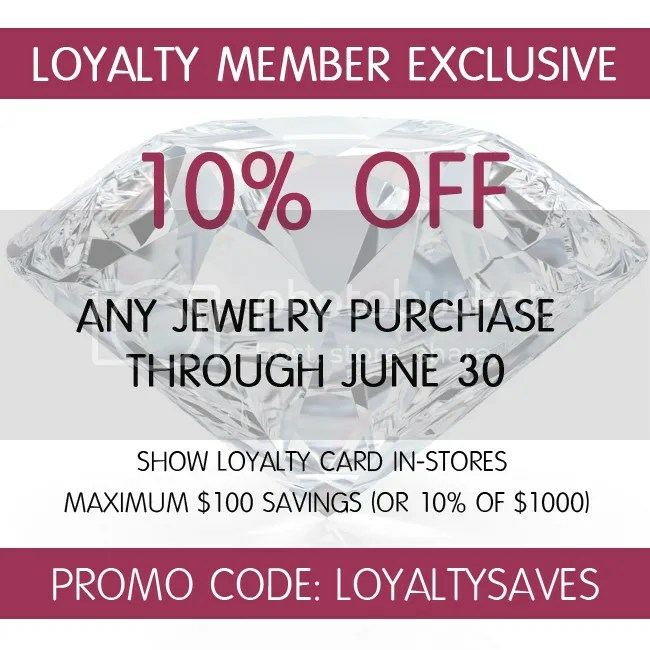 This entry was posted in Jewelry, Jewelry Promotions, Sales and tagged 10% off, Jewelry, jewelry offer, jewelry sales, jewelry warehouse, loyalty member special, sale. Bookmark the permalink.